Online tee times are not availabile for Vidago Palace Golf. 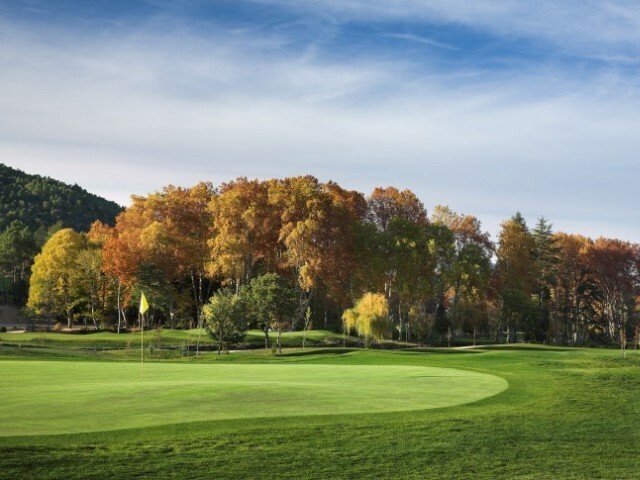 The Vidago Golf Course is a 18 hole course located south of the town of Chaves and belongs to the Vidago Spa Hotel. As it is situated in a locality renown for its Spa waters it provides an attractive diversion for visitors to the Spa and at the same time many local people are very devoted to the game of golf. The fairways which can be slightly tight run through a pine forest with oaks and cedars trees and there are very few water hazards. Hole number fifteen hole is probably the most challenging of all as it is a Par 5 of 530 metres. However, hole seventeenth is just behind with a Par 5 of 525 metres. To post a review, score or a notice on Vidago Palace Golf page's or to connect with other Vidago Palace Golf golfers, please log in to your account or sign up using Google or Facebook.